Thank you very much for your support at the 8 Christmas concerts pupils performed during the last two weeks of term. Over 1,300 family and friends watched the concerts, which I am sure you will agree were all of a very high standard. I hope you enjoyed them as much as the children enjoyed performing in them. Over the course of the concerts, thanks to your generosity, we raised £1,400 for our School Council's chosen charities: Crisis at Christmas and Hacton Primary School! As we look back at the successes of 2017, I am filled with pride with all that our pupils have achieved. Alongside the exciting move into our brand new school, it has been another year full of engaging and enriching educational experiences. 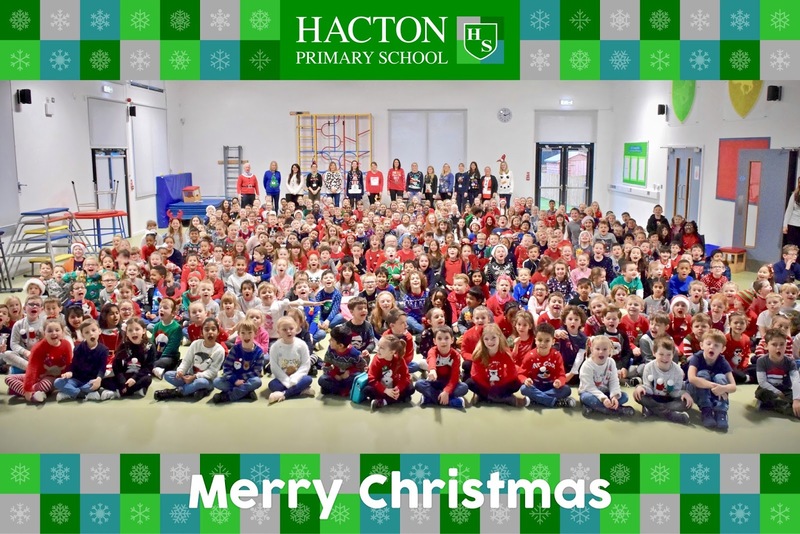 We now look forward to all that 2018 has to offer: it promises to be another fantastic year for Hacton Primary School. On behalf of my staff I would like to wish you all a very happy and healthy Christmas and New Year with your child / children and we look forward to seeing you on Wednesday, 3rd January 2018. The last E for Effort assembly of 2017 saw many teachers giving the cup to their whole class for their fantastic performances in Christmas plays. Class representatives were chosen to collect their awards. Congratulations to all of our wonderful pupils who have worked so hard over the last few weeks. 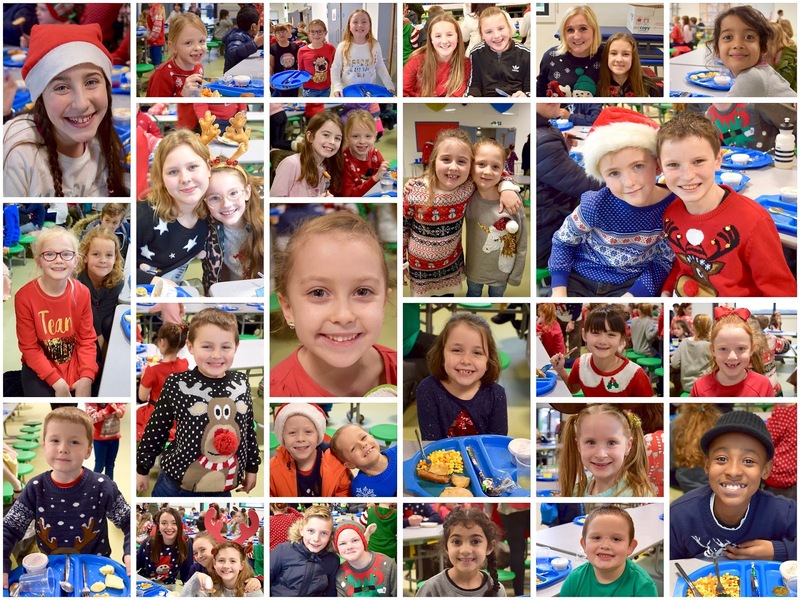 Years 5 and 6: It's Chri-i-i-i-i-i-stmas! After weeks of watching other pupils perform, it was the turn of our oldest actors to take to the stage for a Christmas chart show with a twist: 'It’s Chri-i-i-i-i-i-stmas!'. Cool costumes, twinkly tinsel, amazing acting and superb singing ensured that it was a production of which they could all be proud. Each catchy song in the Christmas chart show told an important part of the Christmas story. From ‘Gabriel’s Soul Patrol’ to ‘Herod and the King Swingers’, the children performed with energy and enthusiasm and concluded by unveiling the top chart spot with the entire cast together on the stage. 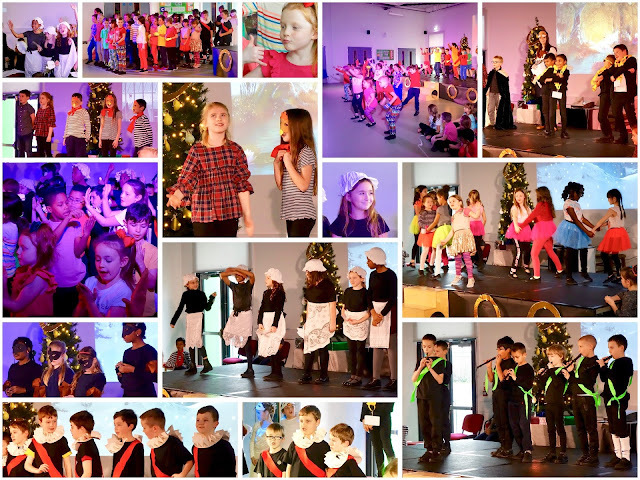 Well done to all our performers for a wonderful Christmas show. 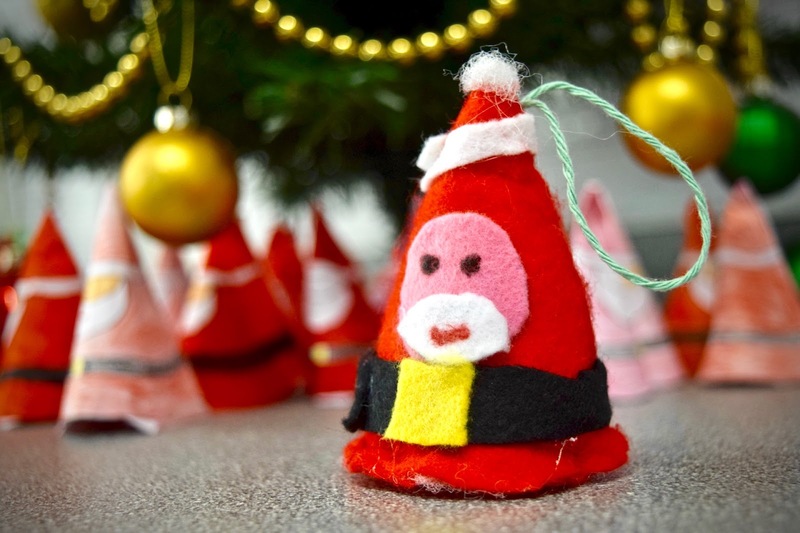 Over the last couple of days, Year 5 have been designing, making and evaluating a Santa gnome. The children measured and cut felt fabric with extreme precision then put their sewing skills to the test (which proved to be trickier than first expected!). 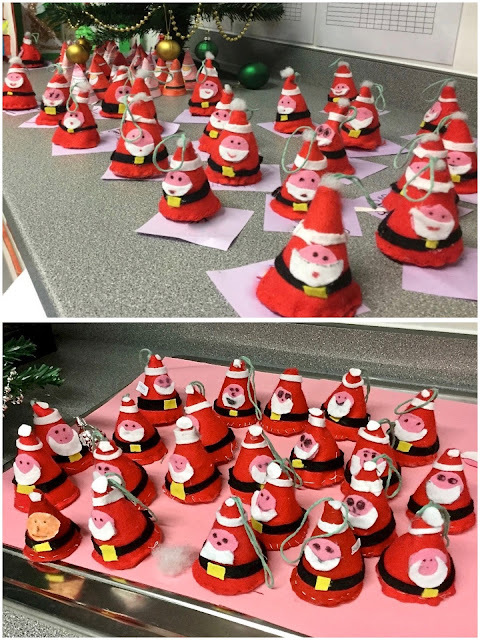 After some careful work, and a little help from friends, everyone ended with a wonderful decoration that will look great on any Christmas tree! Role play is an important part of children’s learning. It helps to develop confidence, creativity, communication and relationships. It allows children to make sense of the world by providing opportunities for children to act out their own experiences. The children in Reception have been very excited about the Christmas role play area. They have been busy dressing up as Santa’s elves working in his workshop. 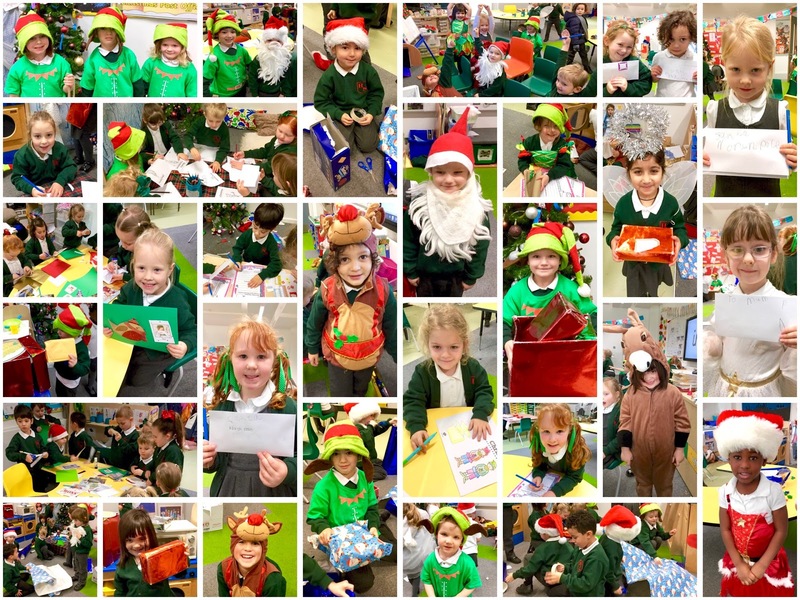 They have particularly enjoyed wrapping presents, using scales to weigh different sized presents, writing letters to Santa using their phonic knowledge and making Christmas cards. 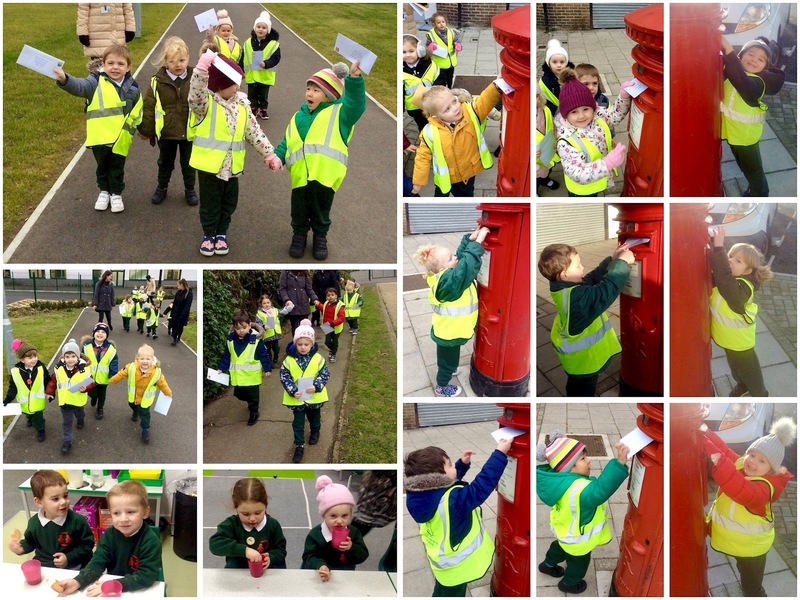 They have had lots of fun discussing the process of posting a letter and how it gets delivered. 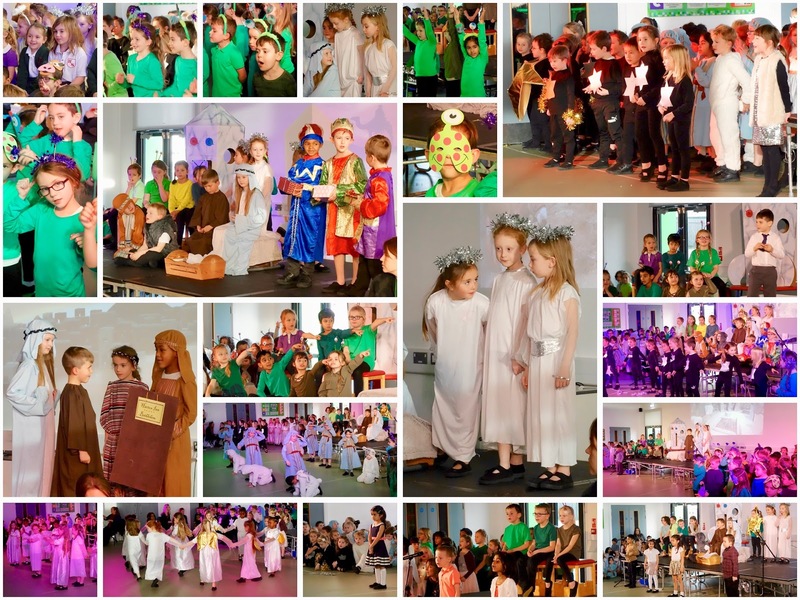 Our Year 3 and 4 pupils continued the Christmas concert season by performing 'Five Gold Rings'. The story follows Lucy and Fred, two children who cannot stand each other, but who have to put their differences aside when something peculiar happens whilst singing 'The Twelve Days of Christmas'. When the song gets stuck on 'five gold rings' they enter a mysterious world and meet some strange characters! 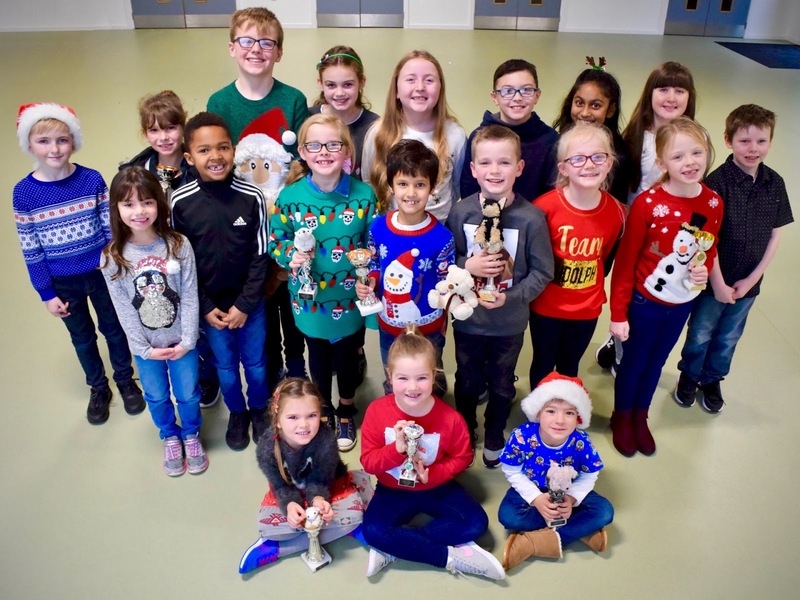 Our children did a fantastic job of learning lines, dance moves, songs and signs, before putting it all together on stage; they sang some well-known and some new songs as well as two dazzling dances. Following a confident dress rehearsal to the school, the children performed their first show to parents on Friday. 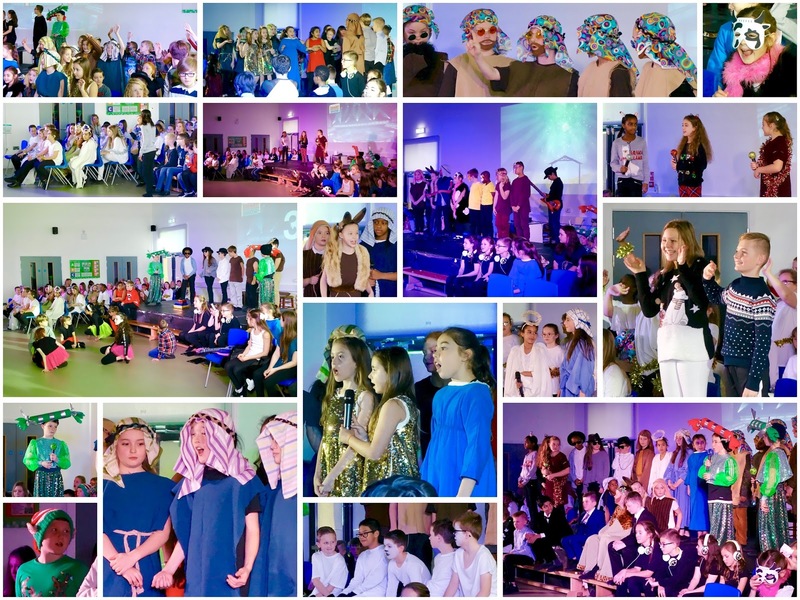 They began the final week of the term with their last wonderful performance. 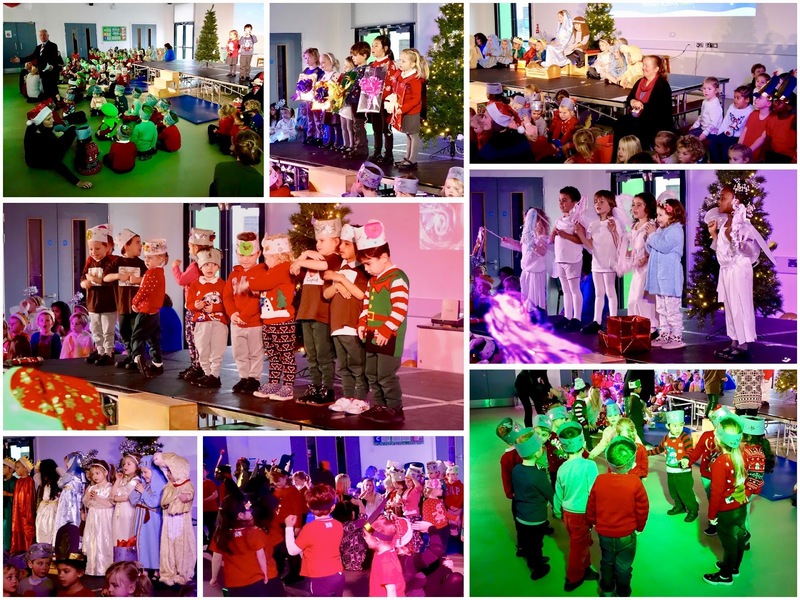 An extra thank you to the children who filled in at the last minute when the dreaded sickness arrived and, as always, thank you to parents and carers who provided costumes and helped the children prepare. 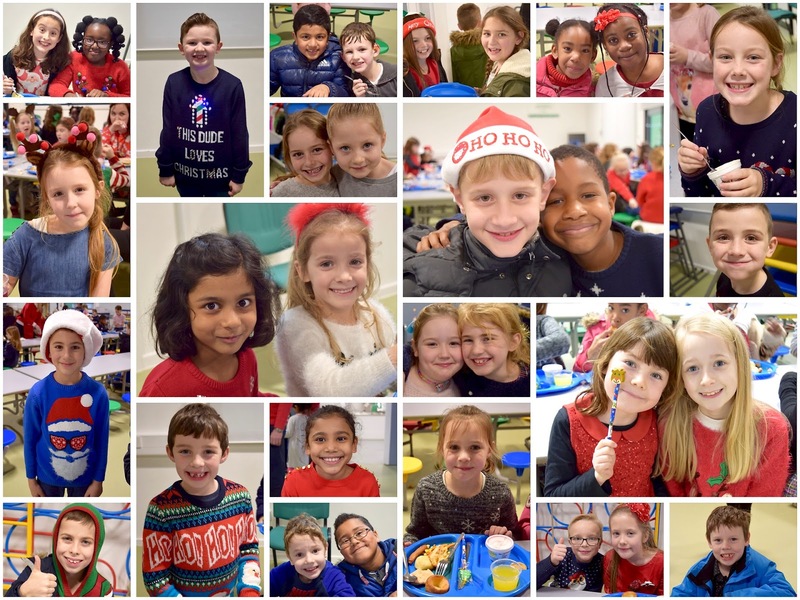 Merry Christmas from Years 3 and 4! 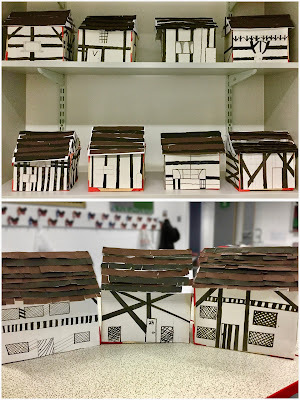 Just on the market, these 500 year old Tudor style properties with authentic wooden beams, tiled roofs and diamond windows. 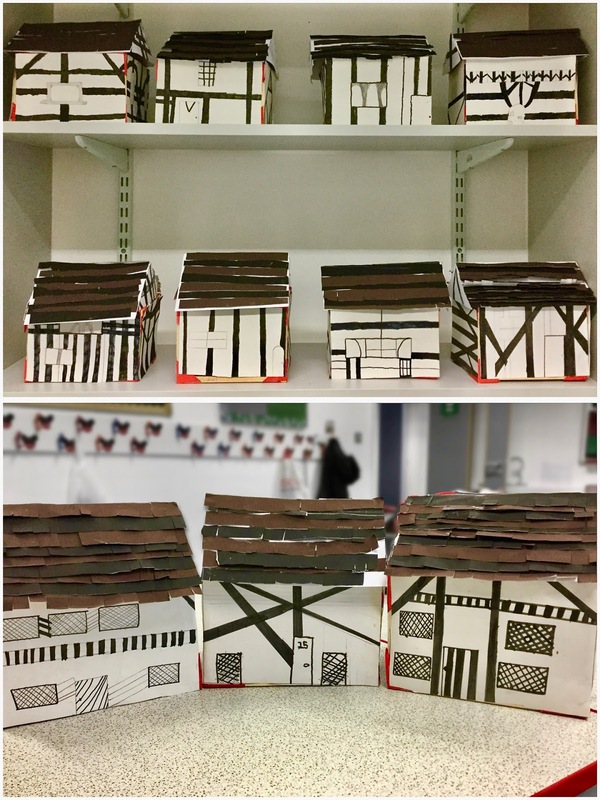 They have been designed and handmade by expert carpenters: the Year 3 children of Hacton Primary School. Take a look at the final product and see the quality for yourself. They’re selling fast. Reception children have been very busy learning the story of Christmas. In class, they have read the Christmas story and learnt about how people celebrate Christmas, the foods we eat at this special time and why we decorate our houses with cards and lights. The children have talked about Christmas as the festival that celebrates the birth of Jesus. 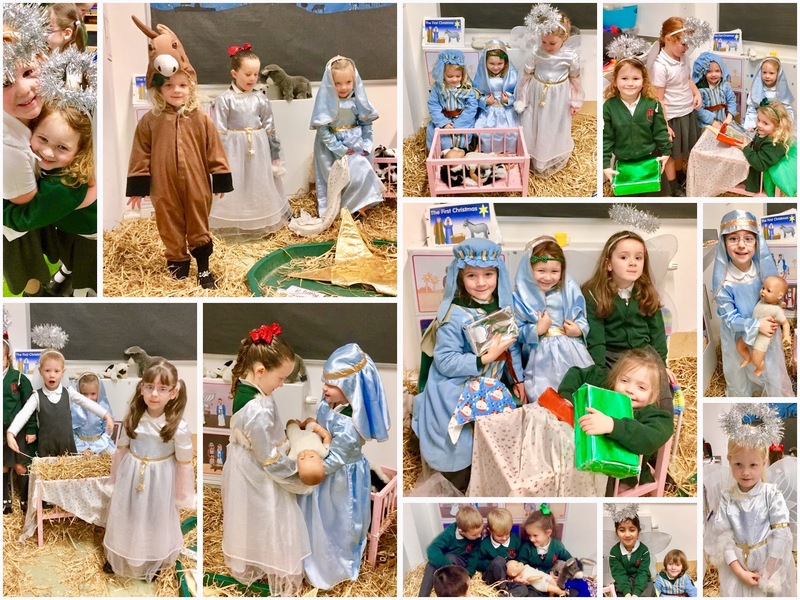 They have had lots of fun dressing up and retelling the story in their very own stable. On Monday and Tuesday, our Early Years children performed their Christmas play to a packed school hall. 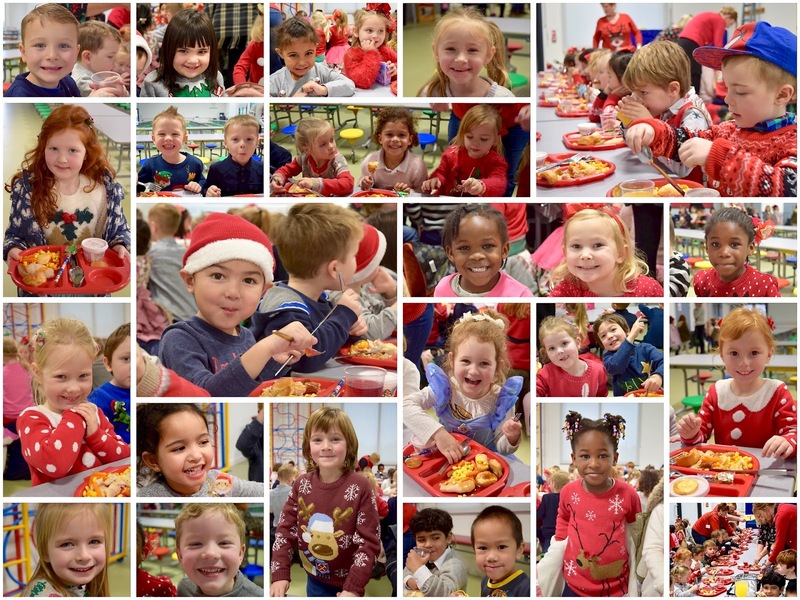 Nursery children in jolly jumpers sang Christmas songs with familiar nursery rhyme tunes, they danced with enthusiasm and were clearly proud to be taking part in their first ever Christmas play. Some took to the limelight with ease whilst others were a little more timid, but they all performed brilliantly. Reception children did a fantastic job of remembering their lines and holding the microphone as they narrated between songs. They sang about the fairy on top of the tree, the all-important Christmas presents and delicious chocolate shapes. The play ended with a traditional nativity and an adorable rendition of Away in a Manger. There were big smiles all round when the children shook tambourines as they sang Jingle Bells. The staff were very proud how confidently the children performed and all of the hard work that they put in to learning 12 songs. 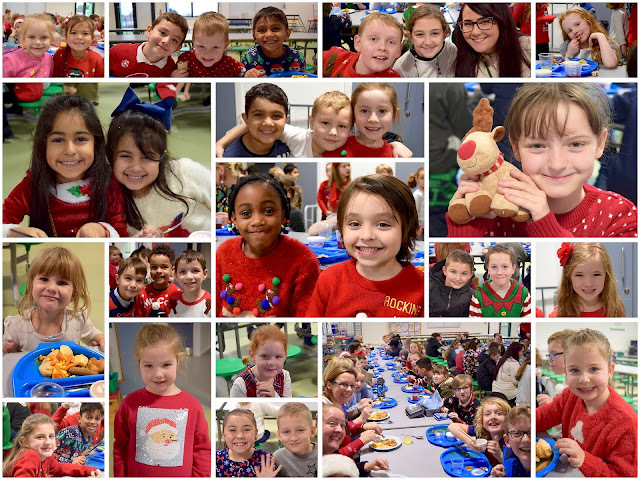 Merry Christmas everyone and thank you for your continued support of our youngest children. This year, Key Stage 1 took part in an out of this world performance. 'Christmas with the Aliens' saw a rocket crash land at Hacton Primary School. The little green people enjoyed watching a Christmas Nativity filled with songs, laughter and dances. Luckily, the rocket was repaired and the aliens were able to return to their planet, having learned the true meaning of Christmas. 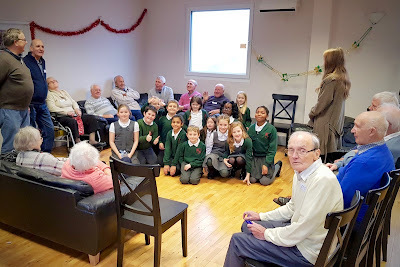 On Monday morning, the Year 3 and 4 members of Hacton's choir braved the cold weather and had a short walk to sing Christmas carols to the elderly at Havering Christian Fellowship Church. The children loved having an opportunity to perform to an audience, who seemed to enjoy their angelic voices! After the performance, the children socialised with the adults and spoke to them about Christmas and what they have been doing in school. This uplifting experience helped to build our pupils' confidence and clearly brightened the day of some elderly members of our local community. 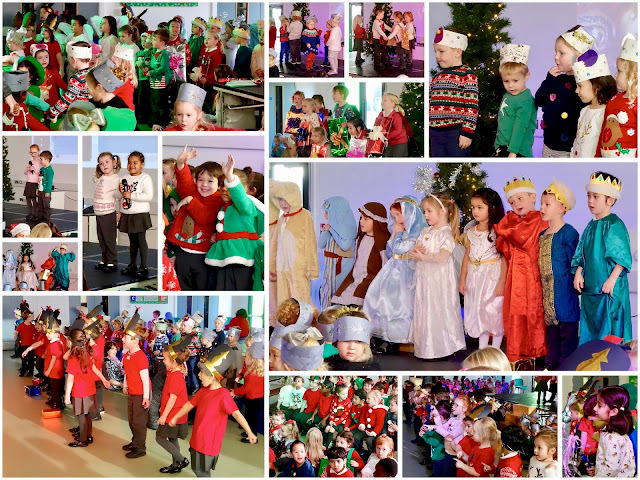 We look forward to seeing you in school for the rest of our Christmas performances. So that you don't have to wait in the cold, please avoid arriving very early for afternoon concerts. The school hall is used for school dinners daily until 1.05 pm. Unfortunately, as the hall then has to be cleared, cleaned and 160+ chairs put out, it will be 1.25 pm before parents will be allowed to come into school for afternoon Christmas concerts. We will endeavour to get all parents seated as quickly as possible, children in to the hall and performances started as close to 1.30pm as possible. Thank you and enjoy the show! However, we ask all Reception pupils to enter via the Nursery entrance due to the Reception outdoor safety area being very slippery. As this area is unsafe we ask EYFS Parents with older children to walk across the Junior playground today rather than through the walkway gates which will be closed. 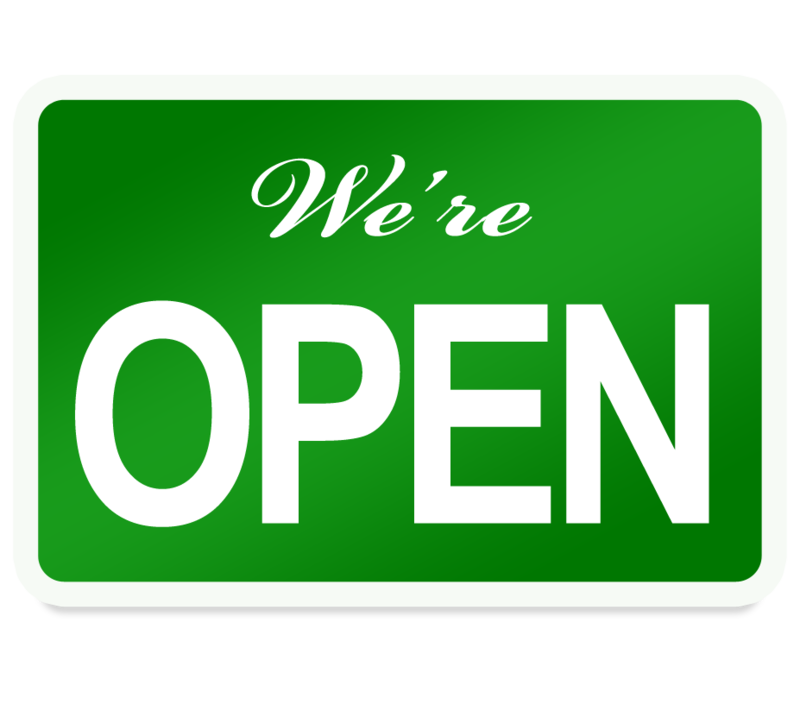 The double gate across the Junior playground will be open for access. 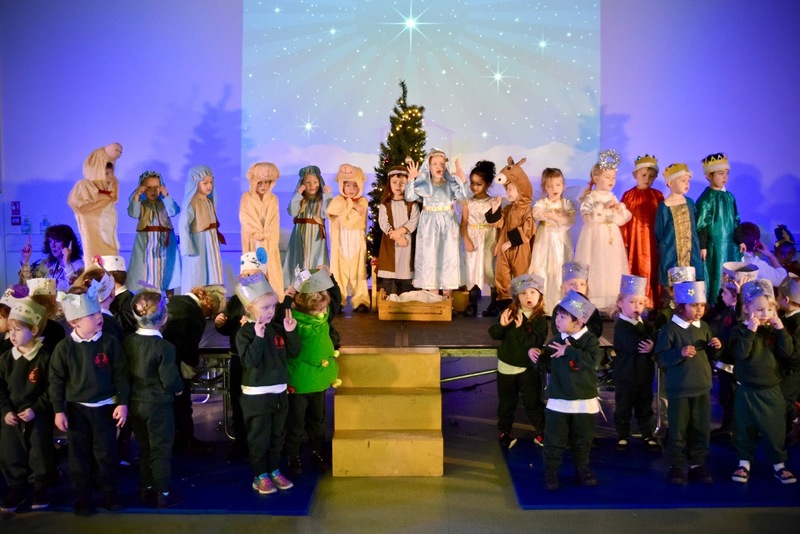 The EYFS Christmas concert will go ahead as planned this afternoon at 2.00 pm. Year 5 were treated to a visit from Change4Life, who promote healthy eating and an active lifestyle. Our pupils discussed the food wheel and what constitutes a ‘balanced diet’ before talking about the benefits of exercise; why it's important to move for the recommended hour per day. They also looked at the correct amount to eat, depending on the type of food that is being consumed. 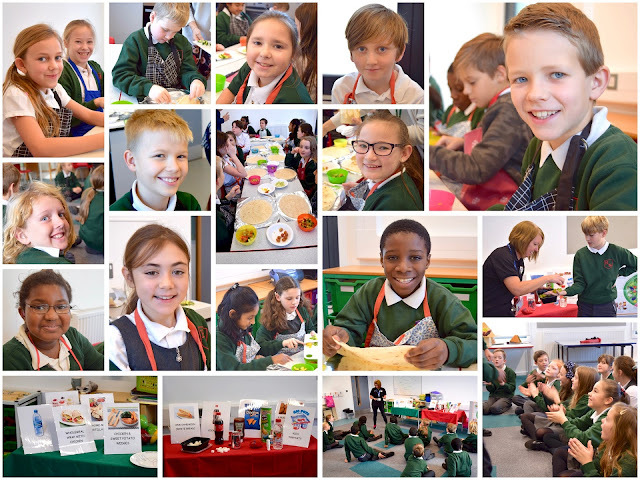 To finish the extremely informative and engaging session, the children had the opportunity to make their own nutritious snack: a vegetable wrap which included a range of raw salad vegetables, topped off with a healthy spread. These were neatly wrapped by the children and taken home for them to enjoy. After much deliberation, our Digital Leaders for 2017/18 have finally been selected. A large number of applications were handed in but only 9 could be chosen. These pupils showed a keen interest in Computing and displayed a great knowledge of ICT. They will be completing weekly tasks and jobs to support teachers and pupils in the delivery of Computing across the school. 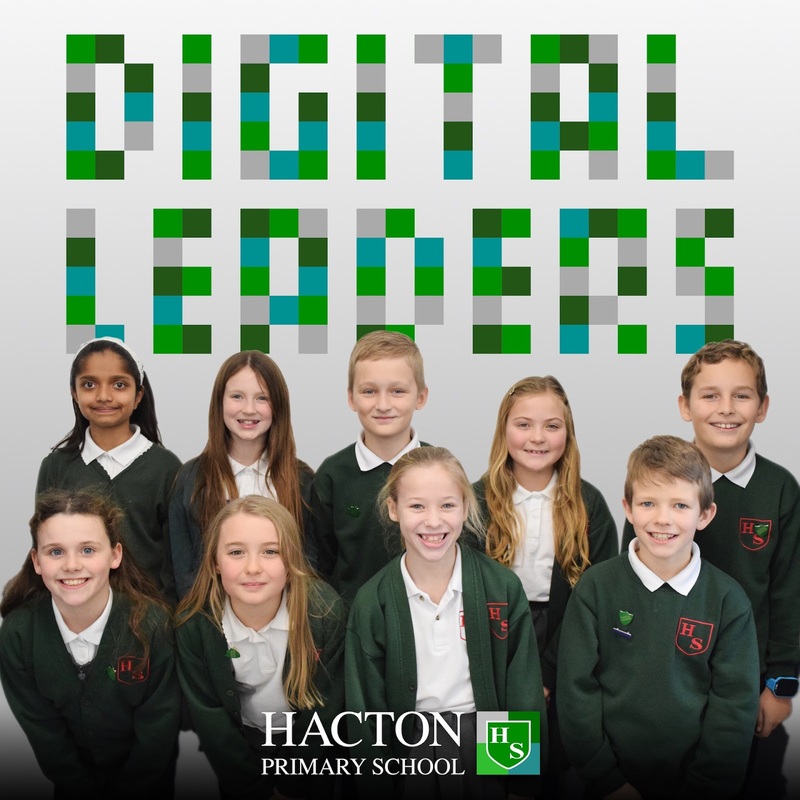 Our Digital Leaders will also host a club for Year 1 to help our younger pupils develop their Computing skills, training the Digital Leaders of the future. The children in Nursery have been busy writing letters to Father Christmas, choosing toys carefully and adding them to their lists. They have written their names at the bottom of their letters, popped them into envelopes with Father Christmas’ name and address on before walking to the red letter box to post them. It was a chilly walk, but the children loved looking at the houses on the way, identifying Christmas trees in windows and wreaths on doors. 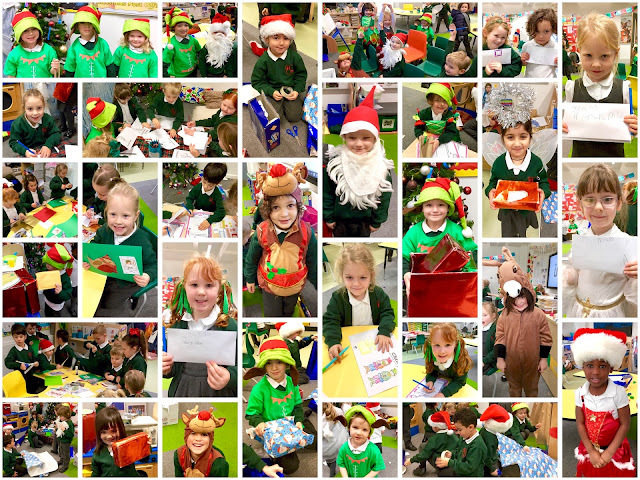 Once they had posted letters and wished them on their way to the North Pole they set off back to the warm nursery for hot chocolate and biscuits!